Fairfax, VA – April 22, 2016 – Doran Manufacturing, LLC, of Cincinnati, OH, a producer of transportation safety products has become an affiliated partner of Trailways Transportation System, Inc. (Trailways). Doran manufactures LED safety lights for transportation fleets, including tail lights, flashing lights, brake lights, clearance lights, turn lights, stop/tail/turn lights and school bus stop arm light kits. Doran’s other products* include light monitors that work even in total darkness, allowing passengers to see points of exit during emergency evacuations. They range from reflective lettering on signage to illuminating adhesive tape for buses and apparel. 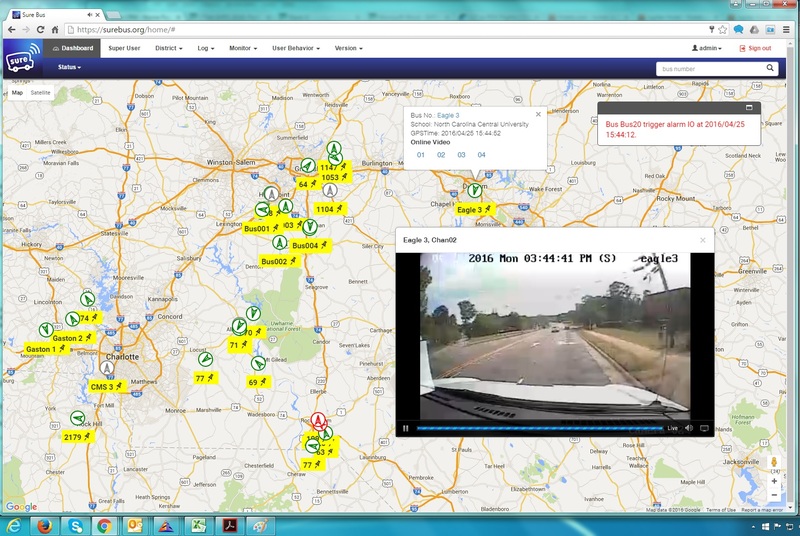 Doran also produces tire pressure monitoring systems. 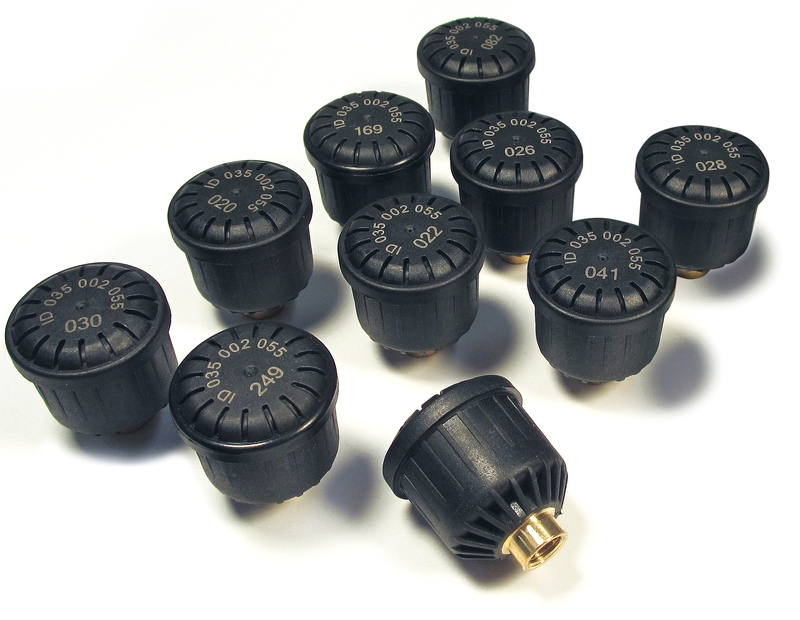 The Doran 360™ TPMS uses a valve-stem-mounted sensor to transmit tire pressures and temperatures wirelessly to a monitor/display for the driver to see current data and to be notified of low pressure or high temperature alerts. 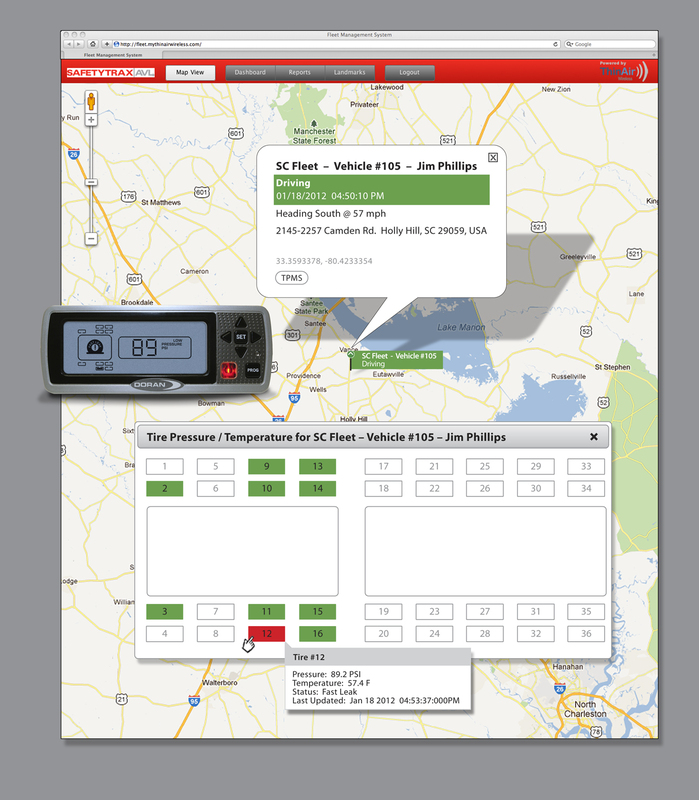 In addition, the Doran 360™ TPMS has the capability of transmitting direct-pressure data in real time to third-party software and mobile communications devices. The systems are designed for simple programming and installation. Founded in 1953, Doran started as a manufacturer of electrical interconnection devices. Equipped with an in-house engineering staff and tool-and-die shop, the company still produces electrical and electronic interconnectors and related products for original equipment manufacturers. Among these are off-the-shelf, semi-custom and custom terminal boards and blocks. In the early 1970s, Doran turned its focus to vehicle safety products, introducing safety light monitors for the school bus market. The exterior light monitors help to prevent accidents by alerting bus drivers to malfunctioning LED and incandescent vehicle lights, due to problems such as loose wiring, cut connectors and blown fuses. School districts and school bus manufacturers have made Doran their number one choice for transportation safety products for many years, according to Doran sales representative Tim Mullen. 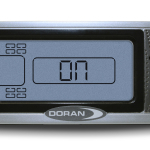 Doran’s emergency exit monitor sounds a buzzer and turns on an indicator light if an emergency door, window or hatch is violated. The Sleeping Child Check® monitor helps to ensure that the driver won’t leave any children on board at the end of a route; it forces the driver to walk past every passenger seat to the rear of the bus to deactivate it. *LumAware Advanced Photoluminescent Technology (APT) illuminating safety products. Doran’s Website at www.doranmfg.com includes an online store for ordering its products. FAIRFAX, VA: April 19, 2016—The Trailways Transportation System (Trailways) is celebrating more than 80 years of operational heritage this year. 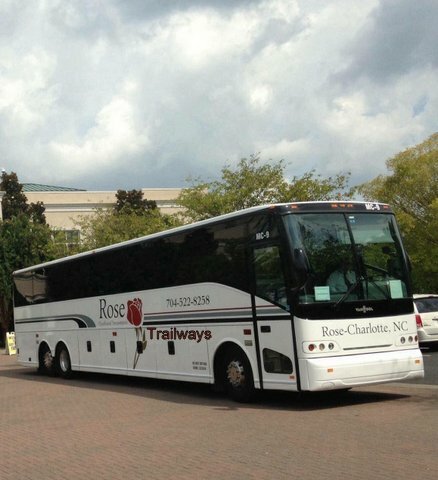 The team is also welcoming Charlotte-based Rose Chauffeured Transportation (Rose Trailways), as its newest team member. Rose was founded in 1985 by the Thompson Family as a limousine company, started with only three employees, specializing in transportation for weddings. Since then, Rose Trailways has grown to over 100 employees and a fleet of 50 vehicles that includes full-size motorcoaches, minibuses, vans, SUVs, and sedans. The company’s major service markets now include corporations, schools and professional sports teams. Holden said Rose’s Team Trailways affiliation joins two important brands in the motorcoach industry. Rose has been a leading ground transportation provider in the Carolinas and ranks regularly among the South’s top 100 small businesses. “Trailways is a brand with 80 years of success behind it, and Rose is a leading brand in the Carolinas with recognition as one of the South’s top 100 small businesses and 31 years in the business,” he said. “We are the largest in our region; so it made great business sense to bring these two powerful brands together with this partnership. Fairfax, VA – April 8, 2016 – INA Bus Sales, LLC, the exclusive distributor for sales and aftersales support of Irizar motorcoach products in the U.S. market, has become an affiliated partner of Trailways Transportation System, Inc.
“Irizar motorcoaches are renowned for their high quality, luxury and unique styling. Our new affiliated partner INA Bus Sales is introducing an exciting addition to the American passenger transportation scene,” said Diane Walden, Vice President-Sales for Trailways. Headquartered in Spain, where its main factory is located, Irizar also has manufacturing plants in Morocco, Brazil, China, Mexico, India and South Africa, plus a commercial presence in more than 90 countries. It has the largest market share among coach makers in Spain and the second-largest share in Europe. In business for 127 years, Irizar entered the U.S. market barely a year ago as part of the organization’s global diversification strategy. INA Bus Sales is featuring the 45-foot-long, integral Irizar i6 model, a versatile, commuter and touring coach suitable for school, charter, motorcoach and mining transportation. The two versions of the i6 available in North America come in vehicle heights of 12.23 and 12.89 feet. Both can accommodate 56 passengers. With its Cummins engine and 6-speed, Allison B500 automatic transmission, the i6 complies with all U.S. Department of Transportation (USDOT) regulations and EPA 13 emissions requirements. The i6 is the only Irizar coach specially adapted to the U.S. market so far. 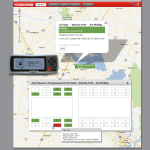 Built entirely in the European Union, it is highly customizable with optional features such as wheelchair lift; Wi-Fi; iPod connection; fleet management, navigation and surveillance systems. Century, Irizar’s venerable coach with decades of experience on the road. Irizar has gained a reputation as a leader in manufacturing electric buses and coaches. According to Bloomberg.com, its Creatio Research and Development Centre in Spain concentrates on the fields of propulsion, electric vehicles, intelligent transport solutions, power generation and storage, plus vehicle charging stations. In March 2016, Irizar announced plans to build an electric bus factory in Aduna, Spain. Fairfax, VA – April 9, 2016 – Motorcoach manufacturer Bus and Coach America (BCA) has joined Trailways Transportation System, Inc., as an affiliated partner. “Our Trailways motor carriers operate more than 12,000 passenger transportation vehicles. Bus and Coach America will offer them exciting new options when they’re ready to replace vehicles or to make additions to their fleets,” said Diane Walden, Trailways’ Vice President-Sales. Founded in 2010, Bus and Coach America unveiled its first product, the BCA45 three-axle, 60-passenger maximum capacity motorcoach, in early 2014 after several years of research, development, and testing. The company plans to introduce a smaller sibling, the BCA40 two-axle, 50-passenger maximum capacity coach, in mid-2016. Both feature durable, stainless steel monocoque construction. Both are designed specifically for the North American market. “We’ve created some of the most advanced yet competitively priced vehicles available today,” asserts Andrew Fung, P.Eng., BCA Chief Operating Officer. Eventually, BCA expects to offer a product line that also will include transit buses and shuttles, among them an all-electric city bus due for launch this year. It is developing vehicles with clean diesel, compressed natural gas, fuel cell and electric powertrains. Both the BCA45 and BCA40 comply with FMVSS and EPA regulations and are available with optional, ADA-compliant wheelchair lifts. BCA’s stakeholders include one of the most advanced bus manufacturers in the world, at whose world-class facility BCA’s engineering, production, and quality control teams are embedded. Depending on customer needs and cost, final-stage manufacturing can also be completed to meet Buy America at U.S. facilities. All major subassemblies and components in any BCA coach are made and/or supported in North America. Major components and systems that the BCA45 and BCA40 have in common include Cummins engines, Allison transmissions, ZF axles, Knorr-Bremse brakes, Bendix automatic braking systems, Wabco electronic suspension control, Prestolite or Niehoff alternators, Parker cooling and multiplex systems, MCC climate control units, Doga windshield washer/wiper systems, Grammer driver seats, Kiel passenger seats and Monogram toilets, among others. BCA’s goal is eventually to design, build, distribute and support its bus and coach products in North America with “comparable or better quality and features at a lower cost than the competition.” For maintenance, warranty and repair work, BCA already has a national parts supply facility in Azusa, CA, and numerous U.S.-based service centers, including Mlaker Trailways in Davidsville, PA, and Trailways affiliated partner Budget Truck and Auto, Inc., in Janesville, WI. 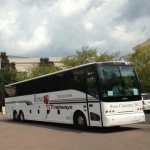 Trailways Transportation System, Inc. (Trailways), consists of approximately 65 independently owned and operated motorcoach companies in North America and Europe. Each company adheres to the highest safety standards required by the U.S. Department of Defense (DOD) or its country’s equivalent. Trailways promotes squeaky-clean image with new affiliated partner Awash Systems Corp.
Fairfax, VA – March 29, 2016 – Trailways Transportation System, Inc., has taken a shine to Awash Systems Corporation, welcoming as a new affiliated partner the Ontario-based manufacturer of large-vehicle washing systems and wastewater treatment systems. The company also designs, builds, installs and maintains wash bays. “With its reputation for efficient, economical and eco-friendly wash systems, Awash Systems can help our Trailways motor carriers to keep their fleets clean and professional looking and to extend the life of their vehicles,” said Diane Walden, Vice President-Sales for Trailways. Jack Jackson, President of Awash Systems, agreed. “Clean vehicles have a major effect on company image, driver satisfaction, the environment and the bottom line,” he said. Awash Systems manufactures single-brush wash systems for motorcoaches, school buses, trucks, transit vehicles, tractor-trailers, ambulances, recreational vehicles, vans, limousines, cars and trains. “Each sector of industry we deal with has unique needs. We make all of our machines in North America, most customized to customers’ requirements,” Jackson explained. With Awash System’s PowerbrushH2O fleet washing system, a single operator can wash a bus with biodegradable soap in less than five minutes. 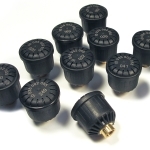 The system’s ceiling-mounted, festoon design with cable or track rollers saves floor space. Because the brush does most of the cleaning, water consumption per vehicle wash is only 20 gallons, “only half a bathtub of water,” Jackson said. He added that the system “uses only as much electricity per wash cycle as popping two bags of popcorn in a microwave.” PowerbrushH2O saves both time and money vs. the more labor-intensive hand washing. Its soft brushes, made of polyethylene or polyfoam, prevent peeling and damage to vehicle graphics. For customers ordering wash bays, Awash Systems technicians perform consultations (including analysis of water, labor and utility costs of existing systems), then design, build and install the bays to meet customer criteria. They also maintain the wash bays, including providing preventive maintenance to replace worn parts before they have a chance to fail. Awash Systems supplies accessories, parts and service as well as training in the use of its wash and wastewater treatment systems. Founded in 1991 and originally known as ACC International, Inc., the company adopted the name Awash Systems Corporation in 2010. “We are proud that we have some of those original machines from 1991 still working every day,” Jackson said. Fairfax, VA – March 24, 2016 – Muscle aches and stiffness can happen to motorcoach company employees, whether they work behind the wheel, behind a desk or out in the garage. Providing relief from acute and chronic pain by using portable electrical devices that block pain signals to the brain and stimulate muscle function is the goal of Allied Powers, LLC, a new affiliated partner of Trailways Transportation System, Inc. Founded by co-owners Joshua J. Greenman and Richard J. Alex, the Las Vegas-based company serves as a distributor of HiDow™ therapeutic products under the aegis of national distributor HiDow USA. “At Trailways, we’re interested not only in safety on the road but also in the occupational safety and health of everyone who works for our Trailways-affiliated motorcoach companies. Allied Powers offers products that may have the potential to keep the people in Team Trailways working pain-free at their peak performance level,” said Diane Walden, Trailways’ Vice President-Sales. TENS refers to “transcutaneous electrical nerve stimulation” and EMS to “electrical muscle stimulation.” The principle behind TENS is to block signals to pain receptors in the brain, temporarily switching off the body’s sensation of pain, by delivering gentle, electrical pulses through the skin in the areas of soreness. This may cause the brain to release endorphins, a chemical that functions as a natural painkiller. The principle behind EMS is to use electrical pulses delivered through the skin to stimulate muscle contraction. Used as directed on the advice of a physician, TENS and EMS devices reportedly can increase blood circulation, relax muscles, prevent muscle atrophy, relieve spasms, relieve joint and muscle pain, and speed healing of muscle and soft tissue injuries. Their effectiveness can vary with the individual. In addition to HiDow™ TENS and EMS devices and their accessories, Allied Powers offers HiDow™ products such as heating pads and packs for the neck and back; arm bands; knee, wrist and elbow wraps; plus therapeutic gloves, belts, socks and slippers. The TENS and EMS devices include rechargeable lithium batteries and come with two-year warranties. Fairfax, VA – April 7, 2016 – Five independently owned motorcoach operators founded the Trailways system in 1936, so that all of them could succeed by helping one another. The Trailways Board of Directors has approved formation of a Trailways Business Council, scheduled to launch this summer (2016) based on that same principle of peers, helping peers, to improve their respective companies’ operational performance and profits. The Business Council will begin with a pilot group of approximately 10-12 noncompeting Trailways stockholders in good standing, selected because of commonalities in company size, region, markets served and other factors. They will meet four times annually, once in person in mid-August and three times via video conference after that. According to Trailways Business Council Chairman Jonathan T. Berzas, the group will discuss “financial comparisons, safety programs, business techniques, strategic marketing, problems and solutions, opportunities unique to Trailways, brand recognition, industry trends and several other topics.” Berzas, a Trailways Board member, is President and Chief Executive Officer of Fullington Trailways in Clearfield, PA. Facilitating the confidential discussions will be Jim McCann, a consultant with Spader Business Management of Sioux Falls, SD, a management consulting firm known for its “Spader 20” peer groups of executives in the motorcoach industry and several others. Each month, participating Trailways stockholders will submit their financial data in a standard format to McCann. He will prepare a consolidated financial report with key financial analysis for each stockholder, including comparisons with peers and industry norms. Using critical numbers from these reports, McCann will “point out efficiencies and deficiencies where the group as a whole is underperforming,” then get the group to “drill down to likely root causes and steps to take for improvement.” Group members will share “best ideas” and “benchmark their performance to the most successful operators.” They’ll also have access to McCann for one-on-one consultations specific to their individual companies. “The Trailways Business Council, working with Spader, will allow us to correct areas where expenses are higher than they should be and to compare ourselves to the industry norms,” said pilot group participant Tom Bazow, President of Excursions Trailways of Indiana and Ohio. Application deadline for Trailways Stockholders interested in joining the pilot group is June 30, 2016. For more information, Trailways carriers may contact McCann at (800) 772-3377 or jmccann@spader.com.